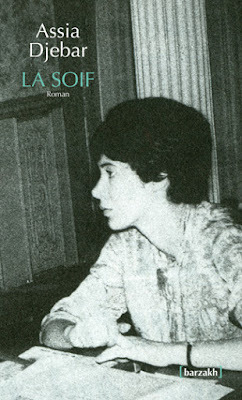 Born Fatima-Zohra Imalayen in Cherchell, Algeria in 1936 Djebar (the pen name in which she wrote under as a veil of discretion for a woman publishing in a Muslim society) published her first book, La Soif (translated in English into The Mischief) in 1957, at the age of 21. La Soif focused on the treatment of women in Islamic culture with a story that centred on a young woman from an upper-class French-Algerian family who seduces her friend’s husband to alleviate her boredom. 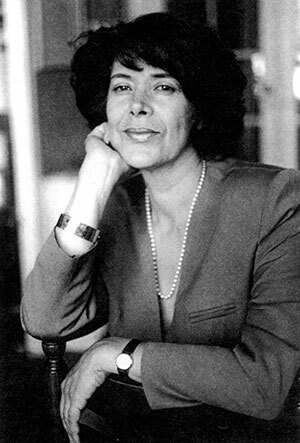 Assia Djebar (Assia meaning 'consolation' and Djebar meaning 'intransigent') passed away in 2015 in Paris at 78. In June 2017 there was a google doodle to honour Djebar who, in her lifetime, published novels, as well as plays, poetry and short stories. Her bibliography comprised over 15 books, which been translated into more than 23 different languages. This includes her acclaimed collection of stories Les Femmes d'Alger dans leur appartement (Women of Algiers in their Apartment) published in 1980 - a collection of short stories,which took its title from Eugène Delacroix’s 1834 painting and depicted the cloistered Algerian women, who are still imprisoned in the harem, as well as L'Amour, la fantasia (Fantasia: an Algerian Cavalcade) published in 1985. 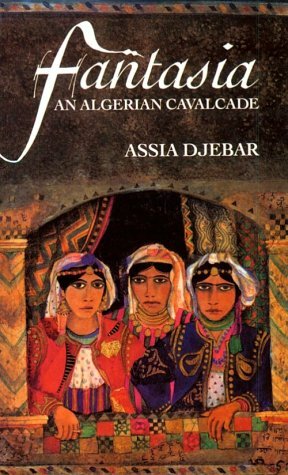 Winner of the Franco-Arab Friendship Prize, the novel mixes Djebar's personal history with the history of Algeria. 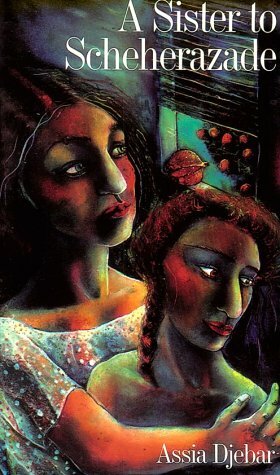 It was also the first volume of the 'Algerian quartet' about Maghrebian women followed by Ombre Sultane (A Sister to Scheherazade) published in 1987, and Vaste est la prison (So Vast the Prison) published in 1995 - only three were published. 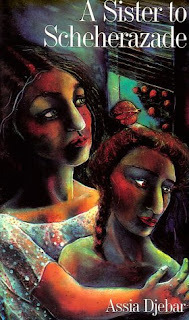 Djebar's other works includes a volume of poetry, Poems pour l’Algerie heureuse published in 1969, the novel Loin de Medine (1991), La Femme sans sepulture (The Woman without a sepulchre) published in 2002, the short-story collection The Tongue’s Blood Does Not Run Dry (2006) and her 2007 book, Nulle Part dans la Maison de Mon Père (Nowhere in My Father’s House)- her last book to be published and first novel to be published in Arabic. Highly acclaimed, in 2005, Djebar became the first Algerian woman to be elected to France’s most prestigious cultural institution - the Academia Francaise. Djebar was the fifth woman to be honoured and the first and only one from the ex-French colonies. Her other numerous awards - in 1996 winning the Neustadt International Prize for Literature for contributions to world literature, in 1997 taking home the Yournecar Prize and in 2000 becoming the first female Arab writer to be awarded the Peace Prize of the German Book Trade. Assia Djebar was also the first Algerian woman to make a film within a national cinema that only began after Algeria’s independence from France in 1962. Djebar’s achievements as a director were also recognised: in 1979 she received the International Critics Prize at the Venice Film Festival for her movie La Nouba des Femmes du Mont Chenoua (The Party of the Women of Mount Chenoua). The filmed combined fiction and documentary and told the story of an Algerian expatriate who returns to her country sixteen years after the end of the independence war. Her second film, La Zerda ou les chants de l’oubli (Zerda and the songs of forgetting), a documentary juxtaposing French newsreels of World War I and II and Algerian women singing traditional songs, won the prize for the best historical film at the Berlinale in 1982. .... critic Ahmed Bedjaoui noted in his blog of January 2013, Algerian (male) filmmakers of the time blocked the film’s (La Nouba des Femmes du Mont Chenoua) wider exhibition. 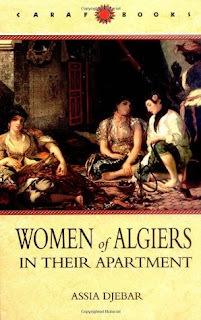 Djebar had hitherto been teaching a module on cinema and theatre at the University of Algiers, so was clearly a film expert, but she was also a published author of five novels and a play. They resented her entering ‘their’ domain, and attempted to stop the film being shown at the prestigious Carthage Film Festival in Tunis in 1978. When it went on to share the 1979 Venice Film Festival International Federation of Critics’ prize (FIPRESCI), the news was met with silence in Algiers. Reading, and learning about her life and upbringing was extremely fascinating for me. As written in a 2015 NYT article on Djebar after she passed away: Djebar’s father was the only Algerian teacher of French in a colonial school in Algeria. While she spoke Arabic with her mother and listened to her grandmother's ramblings in Berber, she was educated in French - as teaching in Arabic was forbidden by the colonial authorities. At the age of 10, when her female cousins left school and assumed the veil required by Islam, her father insisted that she continue her education. So for her, French became identified as an ambivalent source of liberty. 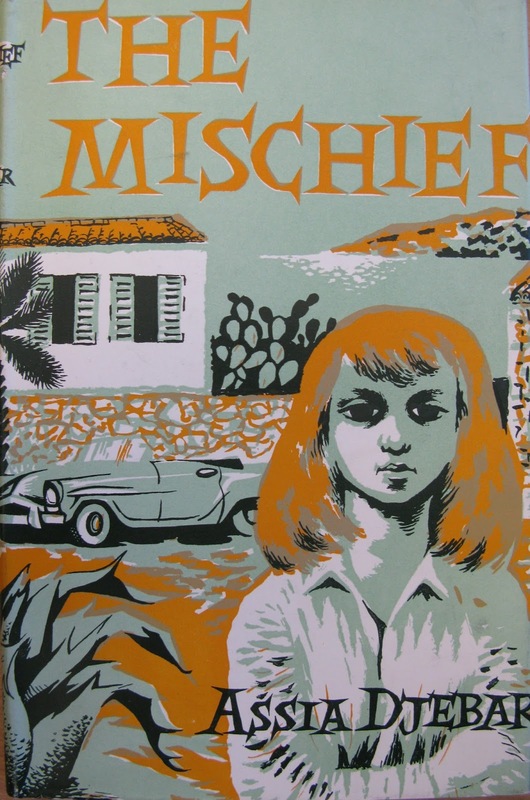 The book tells the double story of how the French language arrived in Algeria with violence and the military conquests of the 19th century, and the way I learned French as a child -- my first words and how strange the culture seemed to me. First it was the language of the enemy, then it became a kind of stepmother, in relation to the maternal tongue of Arabic. With a life of many first's, after studying at the Lycée Fénélon in Paris, in 1955 at 19, Assia Djebar was the first Algerian student and the first Muslim woman to be accepted to the École Normale Supérieure - the elite, state-run French training school for teachers, where she studied history. While Djebar eventually dropped out to join the F.L.N. (National Liberation Front - the Algerian movement for national liberation in Tunisia), it was said that she was one of the first women to embrace the nationalist cause. 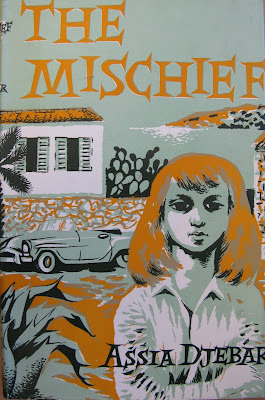 It was also during this period that Djebar wrote her first novel La Soif. Djebar also collaborated with the anti-colonial FLN newspaper El-Moujahid by conducting interviews with Algerian refugees in Morocco and Tunis. At that time the editor of the newspaper was Frantz Fanon, with whom she befriended. Djebar later received an undergraduate degree in history from the Sorbonne in 1956. Djebar returned to Algeria after that country won independence in 1962. In Algiers, she taught history, French literature and cinema, where became the first woman to teach at Algiers University. 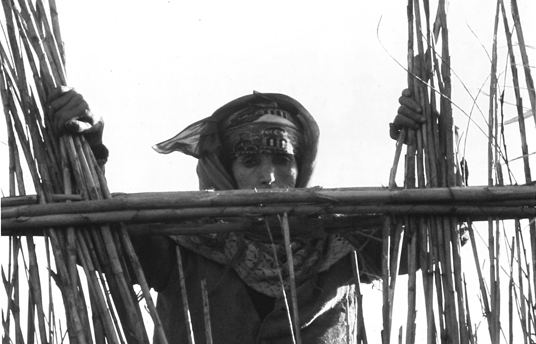 In 1965, Djebar went to live in Paris, but in 1974, longing for home, she returned. However, after directing several films in Algeria, Djebar returned to France because “there were only men in the streets of Algiers,” she told the newspaper Le Monde. In Paris, Djebar also completed her doctorate in French Literature and Civilisation at Montpelier University. She worked in Paris before moving to Louisiana State University where she was appointed Director of the Centre for French and Francophone Studies in 1995 and then, as Silver Chair Professor of Francophone Literature, to New York University in 2001.